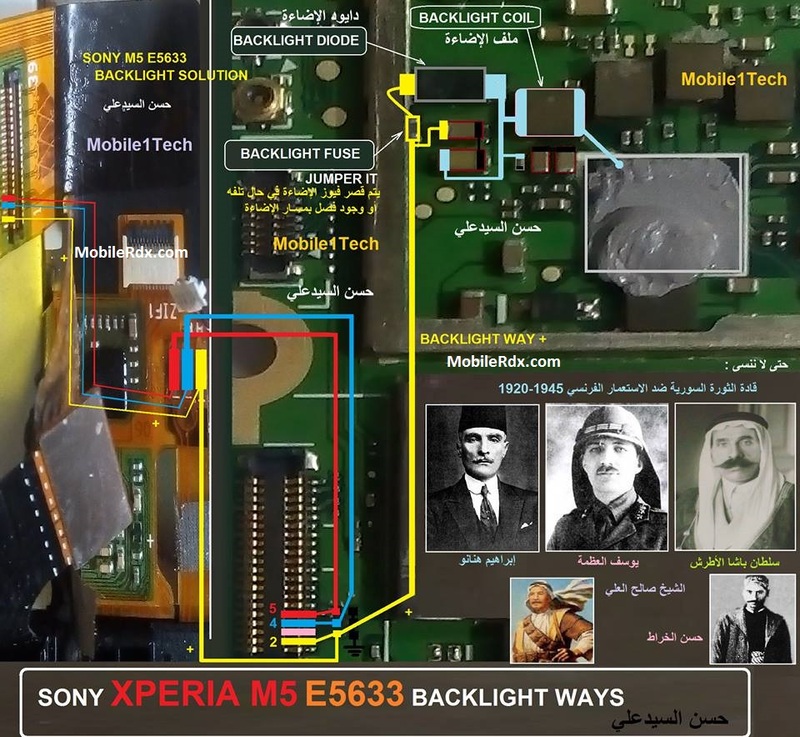 This solution below shows the Sony Xperia M5 E5633 LCD display backlight components that hold and control for the LCD screen display backlight to glow. If one of these components may become faulty due to wet or water damaged it will result to LCD’s backlight failure. To fix the dark screen display problem, you may first try to replace or install a new Display screen module, to easily confirm if the LCD’s backlight LED’s were still working or already damaged. You can also check the LED’s using the multimeter if you can manage without damaging the LCD flex connector. If the newly installed LCD still shows the same problem and the LED light doesn’t light up, refer to the solution below and locate the highlighted components on the PCB board. Here are some hints on how to troubleshoot the “Sony Xperia M5 E5633 LCD display backlight not working problem”. 1. Check the LCD pin connector for possible damaged, resolder if necessary. 2. Trace each of the LED + (positive and LED – (negative connection line paths down to the resistors where it is being connected. 3. Check the connected resistor, replace if found damaged. Check the pin connector assembly and ensure to clean it as well. Check the display filter resistors including the LCD supply voltage and trace the connection tracks to the LCD pin connector. Replace the damaged resistor or mind to reconnect if there is an open line path.